When Alcatel announced the One Touch Hero smartphone a couple weeks ago everyone wrote about the E-ink cover accessory but no one had photos to show off - not even me. But that's okay, because today I have something better. 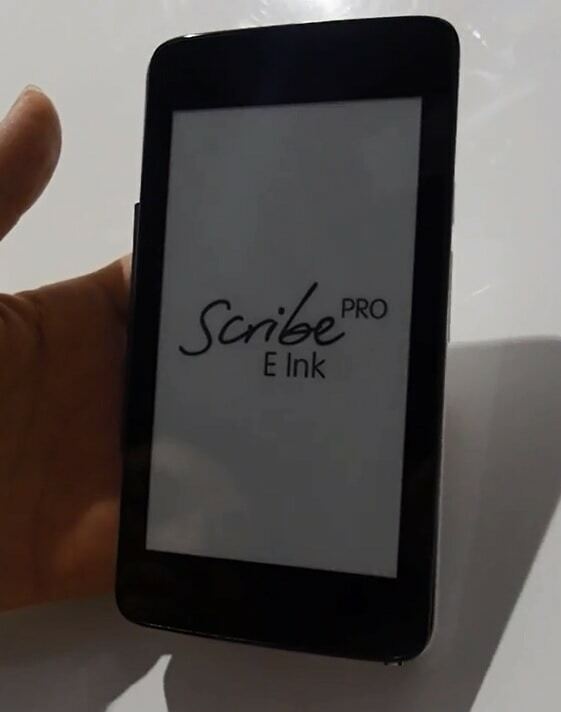 Charbax spent some time with an Alcatel rep and he caught the E-ink cover on video. The rep showed off a functional prototype, and it's pretty cool. As you can see in the video, the E-ink cover attaches to the phone with a magnetic "smartcover" type of connection. The phone and cover communicate over that connection as well as Bluetooth. The One Touch Hero has a 6" LCD screen, and the E-ink screen is 5" in size. That second screen isn't plastic backed, but the rep did say that it is coated with an impact resistant acrylic called PMMA. The rep tells us that Alcatel is planning to add support for third party apps but that is still in the future. At the moment the cover works with a reading app, iReader, that can push ebook contents to the E-ink screen. There's also a clock and weather app that will work with the E-ink screen, but they doesn't quite work yet. The cover doesn't have a touchscreen, so you would have to use the volume buttons to turn the page. As you can see in the video, the page turn speed is reasonably fast. This phone is going to run Android 4.2 when it is released later this year. In addition to the E-ink cover, the One Touch Hero also has a 1.5GHz quad-core CPU with 2GB of RAM, a 13MP rear camera, a 2MP front-facing camera, a microSD card slot, an optional pen, and either 8GB or 16GB Flash storage. The One Touch hero is expected to ship in October with an undisclosed price tag. simply send a screen-shot to the E-ink screen. This would be useful for walking (or biking) around in bright sunlight while showing a google map for navigation. from 5″ to 6″, which is the most common E-ink size in use. The 6″ E-ink screen is very likely wider and shorter than the 6″ LCD screen. It probably wouldn’t fit.